Companies are being urged to address cybercrime and up their security measures following a report that reveals almost 80 per cent of consumers believe brand reputation is at risk as a result of illicit online activity. According to the MarkMonitor Online Barometer report, 45 per cent of consumers have been a victim of cybercrime, with brand impersonation to dupe them into providing personal and financial details cited as one of the most common examples. This type of illicit activity can affect the perception of a brand, 78 per cent of consumers surveyed said, while 74 per cent said firms should have fraud protection policies in place. According to a Forbes report, cited by MarkMonitor, cybercrime is forecast to increase to $2trn by 2019. The report surveyed 3,457 global consumers to analyse the prevalence of cybercrime across various online channels, determine how consumers respond to it and the financial and reputational impact. The most cited example of cybercrime was receiving false requests to "reset a password" for social media account logins, cited by 20 per cent of consumers. This was followed by emails that impersonated a company to solicit personal information, noted by 17 per cent, meanwhile 10 per cent cited emails that impersonated a company and duped the consumer into logging into a lookalike website, which then stole their financial details. Fake invoices from legitimate vendors and false requests for payment were also mentioned (10 per cent), as were computer virus attacks and email scams to wire money to fraudulent sources, both cited by 14 per cent of consumers. Most cybercrime originated in the banking and finance sector but also affected online services (such as household bills), social media, consumer goods (including electronics, clothing and DVDs) and entertainment. Forty percent of cybercrime victims said they now feared using online services in the future, with 21 per cent experiencing dissatisfaction with the brand involved. Sixteen percent of victims lost money, with 20 per cent of those losing more than £1,000. 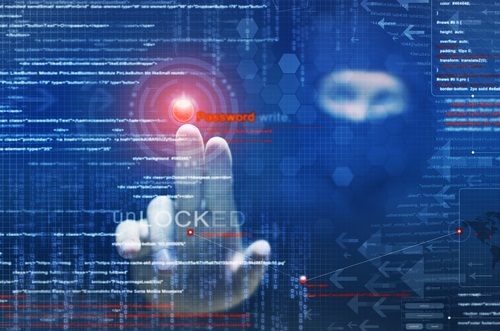 "The incidents of cybercrime, fraud and cyberattacks haven't increased in isolation. Instead, as the internet has grown in scope and scale, more consumers and businesses are using it in myriad ways – from day-to-day tasks, such as emails, to actual operations such as e-commerce. In the same vein, cybercriminals are capitalising on the opportunities presented by more brands having an online presence and more consumers using the internet to transact," the report said. According to MarkMonitor, damage to a brand's reputation was the most cited example of the impact of cybercrime on a business (71 per cent), followed by decreased brand trust (65 per cent), taking additional care in future engagement with the brand (64 per cent), and ceasing to engage with the brand altogether (53 per cent). Meanwhile, social media channels and social media advertising were viewed as the least trusted channels by consumers. The report also found that consumers had certain expectations for their online interactions with companies – notably 74 per cent felt brands should have a fraud protection strategy and 63 per cent said brands should be educating consumers about online fraud. There was also an appetite among consumers for stronger online security measures. "Online shopping is increasing exponentially, as more organisations see the value in bolstering their physical shopfronts with digital platforms or in having an online presence exclusively. With the recent spate of high-profile cyberattacks on global brands, organisations can no longer afford to fall victim to cybercriminals. As a result, brands need to ensure they are properly protected online, both in terms of safeguarding their revenue and reputations," the report said.